Arden, North Carolina — The Old Paths are requesting prayers for baritone and founding member, Douglas Roark, who had open-heart surgery today. Over the past few weeks, Douglas noticed during times of exertion, he had tightness in his chest and shortness of breath accompanied by a spell of lightheadedness. Thinking it was just a blood pressure issue, he scheduled an appointment with a primary care physician. This led to an appointment with a cardiologist, and because of his family history, he had a series of tests that showed a hereditary cardiovascular disease with the need of bypass surgery. The surgery was scheduled for today, Valentine’s Day, at 6:45 a.m. and as of 11:30 a.m. Doug was out of surgery, and the doctors said everything went great. As Doug would say, “Love y’all! And we covet your prayers at this time.” Please be in prayer for Doug, Andrea and his family in the weeks of recovery that will follow. The Old Paths will continue with their full-time schedule with Jeremy Chupp filling in at baritone. Many fans will remember him running sound and playing drums for The Old Paths’ ministry through the years. They appreciate him and his family for stepping up and helping in such a major way during this time. “Thank you all for your support during this time, and we can’t wait to have Doug back on the road with us!” says Tim Rackley, The Old Paths’ lead singer. Jeff and Ed Harper of The Harper Agency, which books The Old Paths, said they’re also looking forward to Doug returning after his recovery. If you would like to send personal messages to Doug and Andrea, email theoldpathsmusic@gmail.com. We will keep everyone updated on Doug’s condition. 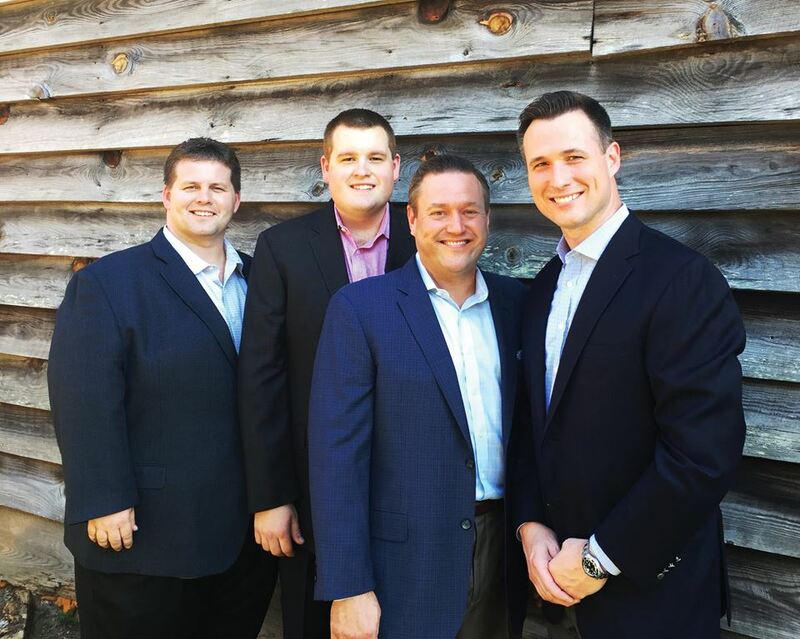 Sunday Night, November 29 – 6:00 pm THE OLD PATHS will make their final appearance in Georgia at Fullerville Baptist Church, Villa Rica, GA. Join them and wish Douglas Roark, Tim Rackley, Daniel Lee Ashmore and Chuck Pettyjohn best to the future. I know it’s going to be a sad evening for the hometown folks as well as many other friends they have made across America. These guys came a long way during their 14 years singing. They have had several number one songs as well as many other charted songs. A new reason to love Mondays! SGNScoops.com invites you to become a part of #musicmondays We will be giving away a new CD every week. All you have to do is enter! Everytime you mention this contest and use the hashtag #musicmondays on either Facebook or Twitter, you earn an entry into that week’s random draw. The more entries you earn the greater your chance of winning. Enter this week’s contest now! This week’s prize is the latest CD from The Old Paths! Enter today and share to win! 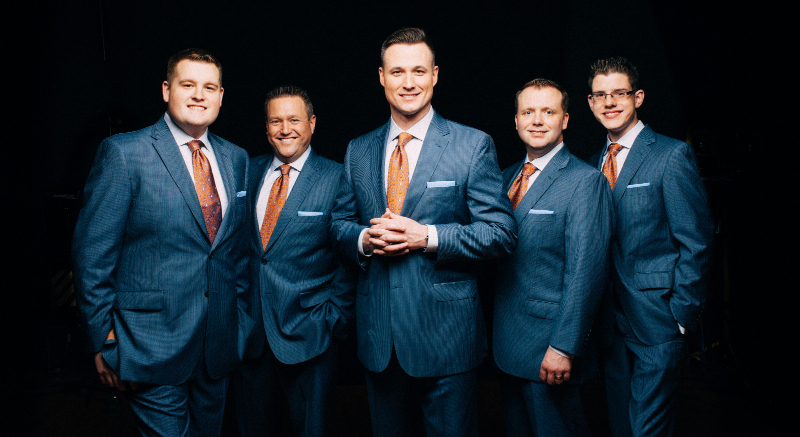 (NASHVILLE, TENN) – With the combined enthusiasm and ministry experience of a group of talented men, The Old Paths Quartet was founded in Atlanta. 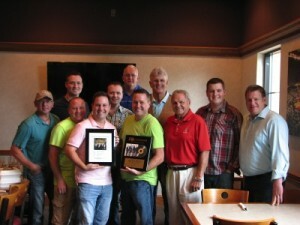 The group quickly became one of the most influential, trendsetting Christian groups in Southern Gospel Music. Their first two national releases produced four #1 radio hits, earning The Old Paths the respect of fans and their peers as one of the genre’s strongest vocal groups. Stay (Sonlite Records) is the latest album from The Old Paths. It is set for release tomorrow, March 17th. The group chose its name from Jeremiah 6:16 KJV – “Thus saith the LORD, Stand ye in the ways, and see, and ask for The Old Paths, where is the good way, and walk therein, and ye shall find rest for your souls…” – and the group has remained committed to its mission to share “the good way” through its musical ministry. Recognition and accolades have not changed The Old Paths’ vision. They are ordinary people with the same trials of daily life shared by all — families to care for, bills to pay, and not enough hours in the day. Yet, they’re extraordinary when it comes to singing and sharing inspiring and uplifting songs. 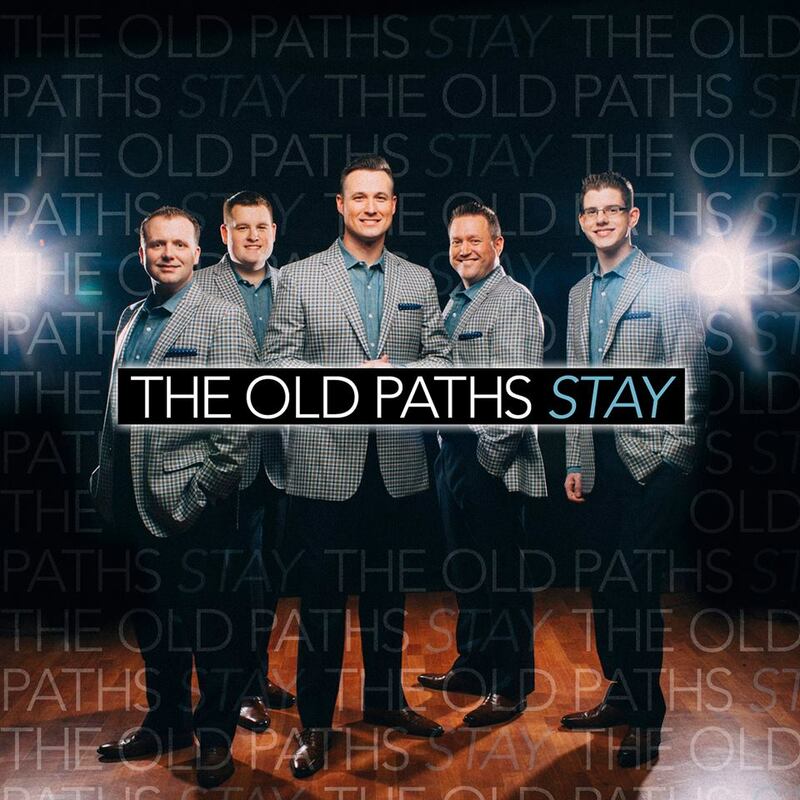 The Old Paths are here to Stay … faithful to spreading the message of the Gospel, committed to their fans, and true to a standard of musical and vocal excellence. 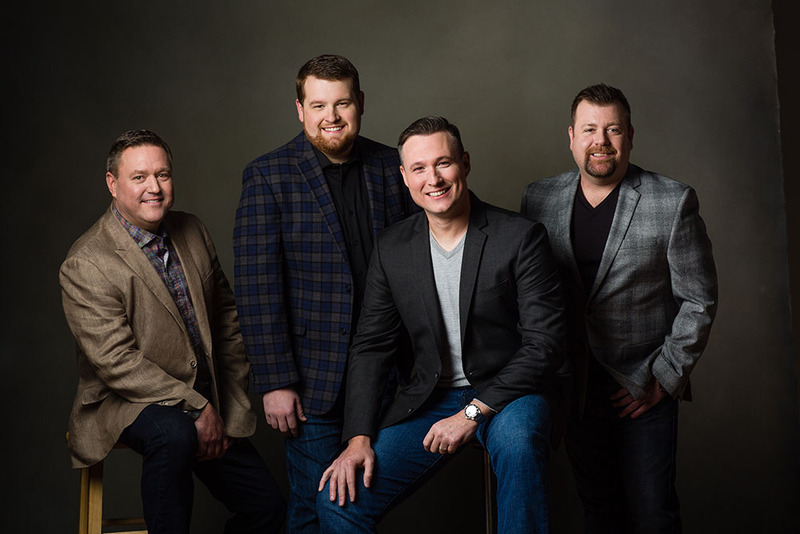 With two BMI® awards and three #1 hits, the Old Paths have exploded on the scene as a leading presence in Christian radio. At the 2014 BMI® Christian Music Awards this month, two Old Paths singles, “Battle Stand” (written by Rodney Birch) and “The I Of the Storm” (written by Kenny Kuykendall), received Citations of Achievement for being among the most-played songs on U.S. Christian radio. In the last two years, three of their singles have reached the #1 position on the Singing News Radio Airplay Chart: “Battle Stand” (December 2012), “God’s Great” (June 2013), and “Long Live the King” (July 2014). For more on The Old Paths, visit theoldpathsonline.com. Ringgold, GA (June 17, 2014) Friends of the Old Path Quartet announced the kick-off to a fundraising effort in light of the recent loss of the Old Paths’ trailer and contents. 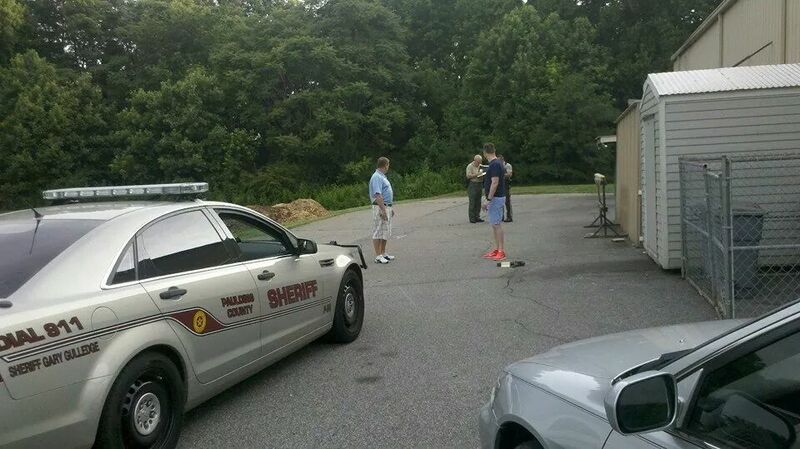 Early in the morning on May 30th as the group was planning to travel to Memphis to sing, they discovered their trailer, product, sound equipment, wardrobe and more had been stolen from what should have been a secure, locked area. “What a shock it was to pull up and see everything we had just taken away from us,” Jeremy Peace, tenor of the Old Paths stated. To make matters worse, the insurance company admitted they made mistakes with the paper work, leaving the Old Paths unprotected. Thanks to the local Sheriff’s department, a few arrests have been made, some items have been recovered, but damaged. To help with the expenses, friends of the Old Paths made a goal to raise $20,000 over the next few weeks. Donations are greatly appreciated and can be made at http://www.youcaring.com/nonprofits/the-old-paths-theft-recovery-fundraiser/190809. 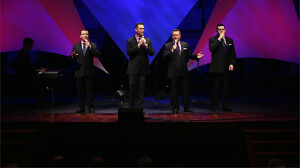 For more information about the Old Paths Quartet, visit: http://theoldpathsonline.com/home.html. 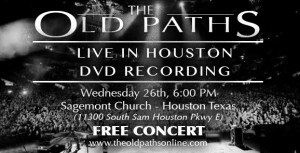 Ringgold, GA 04-10-2014- In conjunction with Sagemont Church, Houston Texas, The Old Paths Quartet have released their first “Live” music video featuring their hit radio single, “Long Live The King.” This video is part of a complete concert DVD and was produced by veteran producer Ron Ingram, best known for his involvement with previous Crabb Family video productions and the famous Cathedrals, Alive Deep in the Heart of Texas Video. The song, “Long Live The King,” written by Dianne Wilkinson and Chris Binion, tells of the crucifixion, the mockery of Jesus, the judgement of sinful man, and the return of Christ to reign forever as King! The song currently sits at #3 on the Singing News Charts, and is an amazing, timely song for this Easter season. The concert/DVD recording is sponsored by Sagemont Church, and its FREE and open to the public. For more information about the Old Paths, visit http://theoldpathsonline.com/home.html.